Malden Avenue is one of the streets of London in the UB6 postal area. 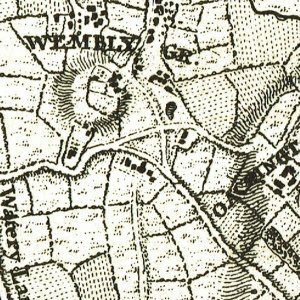 Sudbury, as a historical area once extended from the ’South Manor- Sudbury’ (thought to have been on Harrow Hill) to the area that is now known as Wembley Central. A majority of the land that once formed Sudbury Common until the 1930s has now been developed as a relatively green residential suburb of London. Wealthy sisters and local philanthropists the Copland Sisters, after which many local landmarks from streets to schools were named, commissioned Sir John Gilbert Scott, the architect who later designed the Albert Memorial and St Pancras station, to build the Church of St John in 1846 which now marks the easterly extent of Sudbury. Opposite is Copland House, now a home for the elderly. The Coplands built Sudbury Lodge in the grounds of their father’s home in Crabbs House. This would later change hands and be owned by another wealthy and philanthropist family, the Barhams. 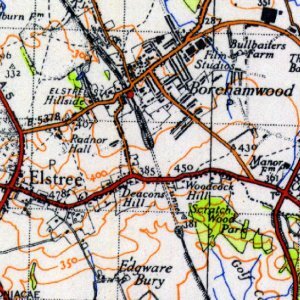 During the late Georgian period Sudbury was the home of the Express Dairy Company Limited run by the Barham Family. It was the first British Dairy to use glass milk bottles, the first to use milk churns and glass lined tanks to carry 30 000 gallons of milk by train into London every night and one of the first to introduce pasteurisation to sterilise milk. For his services the owner and managing director George Barham Sr. was knighted in 1904. He died in 1913 leaving his business to his son Titus Barham. Urbanisation began in earnest in the late 19th century with the arrival of the railways and Sudbury town became part of the London commuter belt. 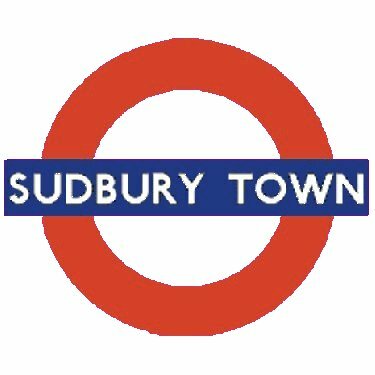 Sudbury Town station was opened on 28 June 1903 by the District Railway (now the District line) on its new extension to South Harrow from Park Royal & Twyford Abbey. This new extension was, together with the existing tracks back to Acton Town, the first section of the Underground’s surface lines to be electrified and operate electric instead of steam trains. The demand for housing was such that within the short interwar period much of the area became urbanised. Titus Barham died aged 77 years in 1937 and he left considerable lands for the benefit of the public rather than building. Despite the building, it remains a relatively green area mainly due to a strict planning control. 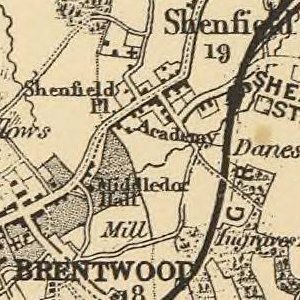 In 1928 land was given over for the Vale Farm sports fields. There has been a swimming pool on the site since 1932. The original Sudbury Town station building was demolished in 1930 and 1931 and replaced by a new station in preparation for the handover of the branch from the District line to the Piccadilly line. The new station was designed by Charles Holden in a modern European style using brick, reinforced concrete and glass. Like the stations at Sudbury Hill to the north and Alperton to the south as well as others that Holden designed elsewhere for the east and west Piccadilly line extensions such as Acton Town and Oakwood, Sudbury Town station features a tall block-like ticket hall rising above a low horizontal structure that contains station facilities and shops. The brick walls of the ticket hall are punctuated with panels of clerestory windows and the structure is capped with a flat concrete slab roof. Sudbury Town station is a Grade II* listed building. Some of the original station signage uses the Johnston Delf Smith typeface, a wedge-serif variation of the standard London Underground Johnston typeface. On 4 July 1932, the Piccadilly line was extended to run west of its original terminus at Hammersmith sharing the route with the District line to Ealing Common. From Ealing Common to South Harrow, the District line was replaced by the Piccadilly line.